iPhone 7 and 7 Plus don’t have a physical Home button to click; they sense pressure and rely on haptic feedback. But you can change the feel of the Home button click by adjusting its click strength and feedback in Settings. 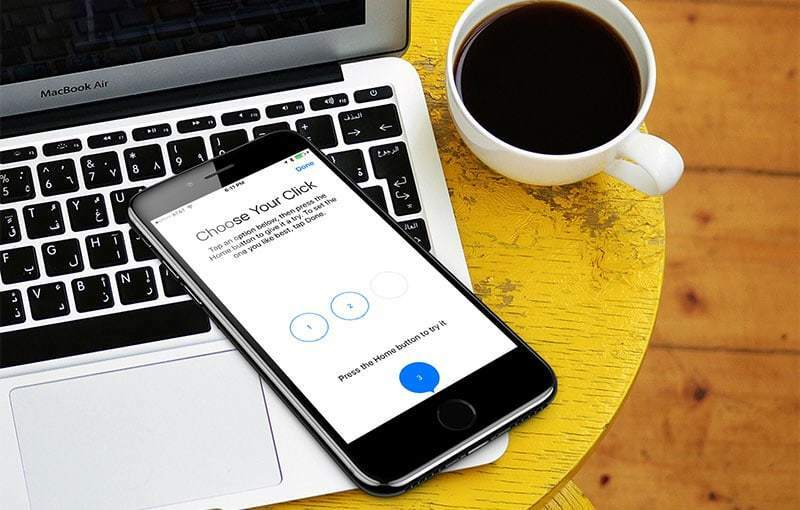 Adjusting the settings is important for users who keep their device in a case, because some cases may hamper the physical sensation provided by the click and make it challenging to notice. 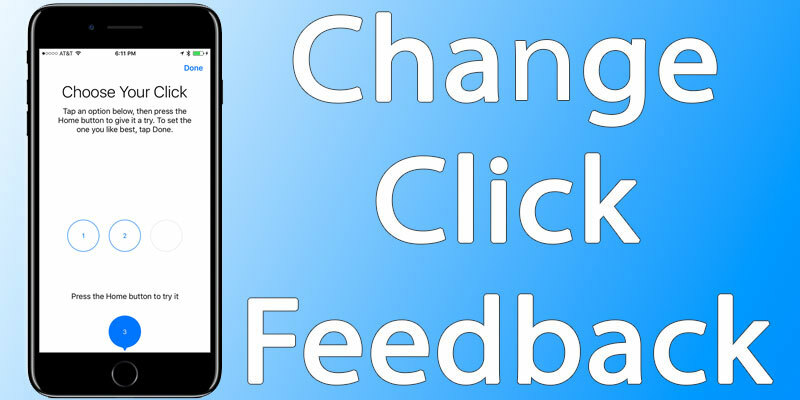 For iPhone users with a case, selecting a stronger setting for click is recommended, but all three Home button click feedback options can be checked to see what works best. While the setting can be changed anytime, it’s good to make an adjustment while the iPhone is being used typically. Step 1: Go to Settings – General. Step 2: Select “Home Button” to access click preferences for it. Step 3: Tap “1, 2 o 3”, and then tap Home to see how each feels. 1 is soft and subtle feedback. 3 is strong feedback when Home button is tapped. This feels like a real click. Step 4: Leave Settings when you’re satisfied. The setting you choose will impact all Home button uses and its feel, including the screenshots, access to multitasking, the screen “Press Home to Unlock”, returning back to the Homescreen, and more. The Home button gets used a lot, so opt for the setting you’re satisfied with. Also, this is the “choose a click” Home button screen that you see when you first use an iPhone 7 or iPhone 7 Plus. Since several of us choose a setting quick without giving it a much thought, it isn’t a surprise that you may change your mind later and adjust the click strength.